Mackenzie says that principal Ernest had told her that her clothing was in violation of the school’s dress code policy, and that she had complied with the principal’s request by taking off her hat and borrowing a friend’s sweatshirt to cover up her t-shirt. But later on, the student said that she felt her First Amendment rights were violated. The student added that there is nothing in the school’s dress code with regards to political apparel. “If it said no political gear or anything, then I could understand — but it doesn’t say that, so I feel as though I’m obligated to have my own opinion, and other people can have theirs. We don’t have to agree, that’s fine,” said Mackenzie. On Friday, principal Ernest released a memo to students and community members apologizing for the incident. “I want our students to be free thinkers and be able to express their opinions in a respectful manner,” said Ernest, according to CBS Boston. The student’s mother said the Mackenzie family is not angry about the incident, as they believe the principal’s apology is sincere. 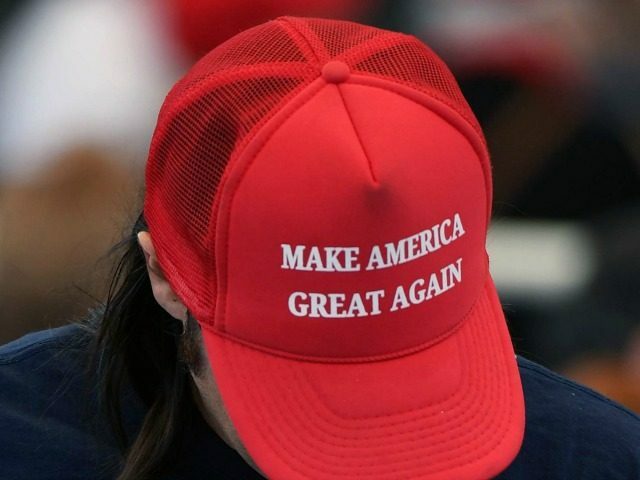 Moreover, a Florida bus aide apologized last month after a school bus surveillance video captured her demanding that a middle school student remove his MAGA hat, and then physically removed the hat from the 14-year-old student’s head when he did not comply with her bizarre demand.